Mark McAndrews, port director of the Mississippi’s Port of Pascagoula, was formally installed on October 26 as the 2016-17 chairman of the board for the American Association of Port Authorities (AAPA), the voice of seaports in the Americas. As AAPA chairman, he succeeds Jim Quinn, President and CEO of Port Saint John in New Brunswick, Canada. McAndrews accepted his new chairmanship duties at a membership meeting in New Orleans, La., during which the entire slate of 2016-17 delegation officers and board of directors were inducted as part of AAPA's 105th Annual Convention. McAndrews also chairs the association’s U.S. delegation, whose other officers include Chairman-Elect Steven Cernak, PPM, of Port Everglades, and Vice-Chairman William D. Friedman of the Cleveland-Cuyahoga County Port Authority. Canadian delegation officers are: Chairman – Gaétan Boivin, Trois-Rivières Port Authority; Chairman-Elect – Denis Caron, Belledune Port Authority; Vice Chairman – Carl Laberge, Saguenay Port Authority; and Past-Chairman – Jim Quinn, Port Saint John. Chairing the Caribbean delegation is Glenn Roach of Barbados Port Inc. The chairman-elect is Grantley Stephenson of Kingston Wharves Limited and the vice chairman Clement Reid of the Port Authority of the Cayman Islands. Officers of the Latin America delegation are: Chairman – Gerardo Varelalero, Autoridad Marítima de Panamá; Chairman-Elect – Raúl Urzúa, Empresa Portuaria Valparaíso; and Vice Chairman - Alberto Diaz, Administración Nacional de Puertos de Uruguay. Also during the convention, AAPA honored Gary LaGrange, President & Chief Executive Officer of the Port of New Orleans, with its Distinguished Service Award. LaGrange has devoted most of his professional life to the public port industry. 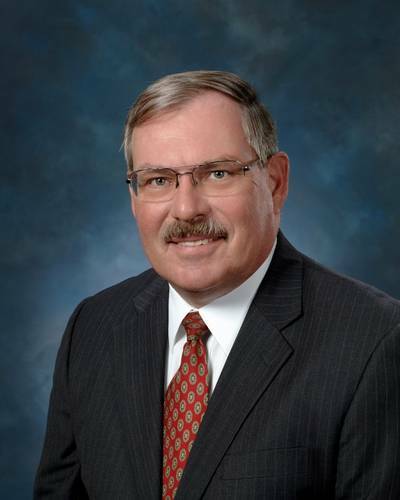 Throughout his career, LaGrange has been a vocal and highly visible ambassador for the industry, and served as AAPA Chairman of the Board in 2004-2005.